Wedding Photographer Joseph DeFabis is one of the most recognized names in Wedding Photography in Indiana. His 20 years experience combined with the 1,000 weddings he has photographed during his career will insure that your wedding memories are Beyond Your Expectations! Joe is a two (2) time winner of the Fuji Masterpiece Award which is given to the best wedding album in the state of Indiana, a three (3) time listing on the “Indiana Top Ten Photographer”, a two (2) time winner of the IPPG Wedding Photographer of The Year, and numerous other awards for his outstanding images. Joe is currently the director of the Indiana State Fair Photography Competition, which is held each year during the Indiana State Fair. Joe began his professional photography career in 1984 photographing seniors, families, children, and weddings. In 2008 he changed the image of his studio to a “weddings only ” studio and now provides wedding photography exclusively. 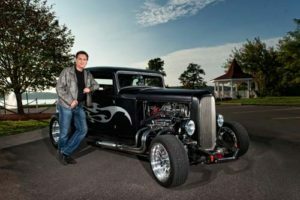 Joe’s background as an entrepreneur is rooted in his family heritage, where his family owned and operated a chain of 23 grocery stores in Indianapolis and Joe worked in the family business until 1984 when he started his portrait studio. Currently, Joe and a few hand picked associates photograph nearly 70 weddings per year. Joe has developed a workflow that allows him to be able to handle all editing, album design, and sales with no outside help- therefore giving you a custom look that is Joe’s distinctive style as a wedding photographer. Joe DeFabis is also available for your destination wedding. Mr DeFabis has photographed beautiful brides in Europe, Mexico, United States, and locations throughout Indiana. Wherever your wedding is, Indiana wedding photographer Joe DeFabis can promise you wedding photography beyond your expectations.